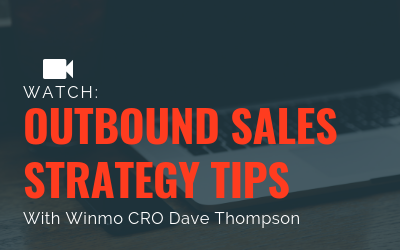 Up your sales game with these simple outbound sales strategy tips from Winmo CRO Dave Thompson. Improve Your Outbound Sales Strategy With These Tips — Winmo CRO Dave Thompson from Winmo on Vimeo. Looking for more outbound sales strategy assistance? Confirm why outbound sales strategy is critical, then download our gated content templates and slap on a killer sales email subject line. And BOOM! You’ll be on your way to outbound sales stardom.